Kari Traa Now Available at 6 locations! 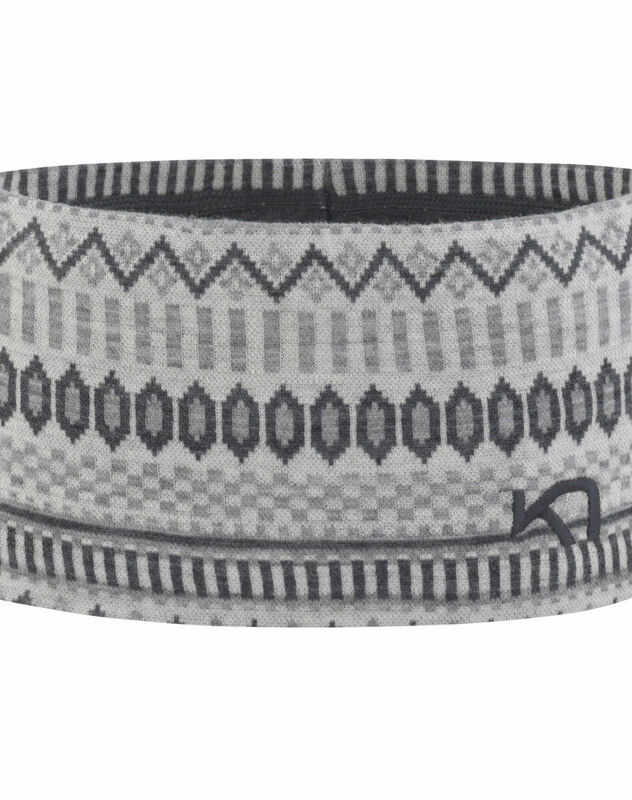 Home › Articles › Kari Traa Now Available at 6 locations! Kari Traa is finally back in our store. After receiving rave reviews the past two winters, we've opened up the collection to 6 of our locations: Old Town, Lincoln Square, South Loop, Oak Park, Elmhurst, and Deerfield. 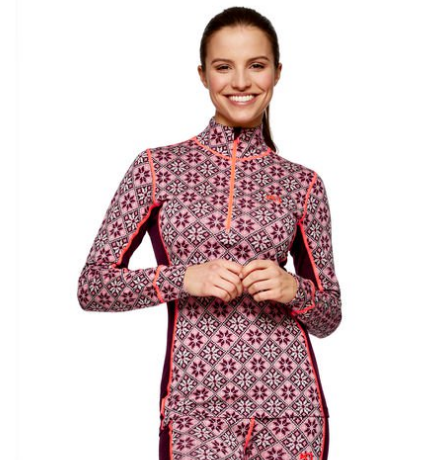 In case you can't remember, Kari Traa is a Norweigian brand of activewear that is designed and made by women for women! 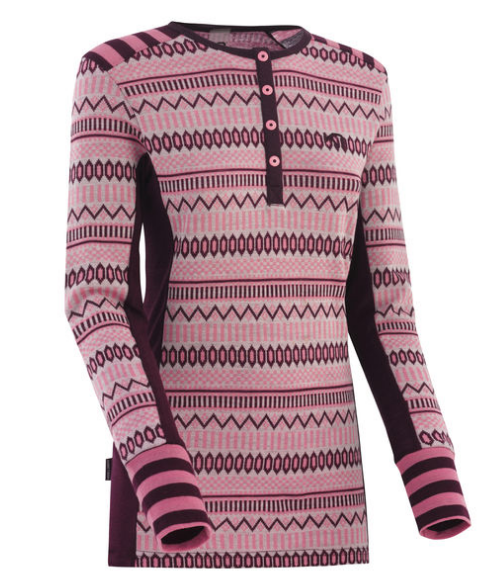 We love the Nordic look and feel of the patterns and colors in these amazing baselayers. 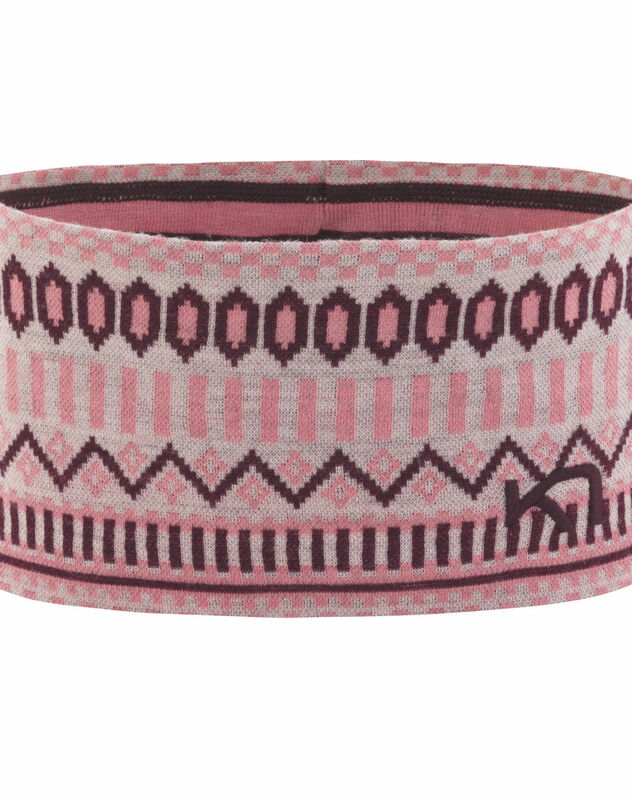 PS - Kari Traa encourages mixing and matching of the fun patterns. 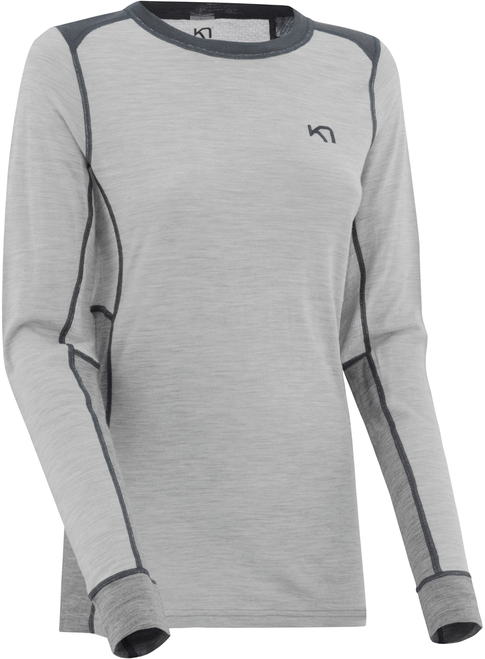 The Tikse collection is the lightest weight (150) 100% merino baselayer Kari Traa has in their line. We love the simplicity of this top, but dont' let that fool you. It's a hard worker. This collection includes a Long Sleeve Henley, Long Sleeve Henley Hoodie, Pant (aka best long johns ever!) Mitten, and Headband. 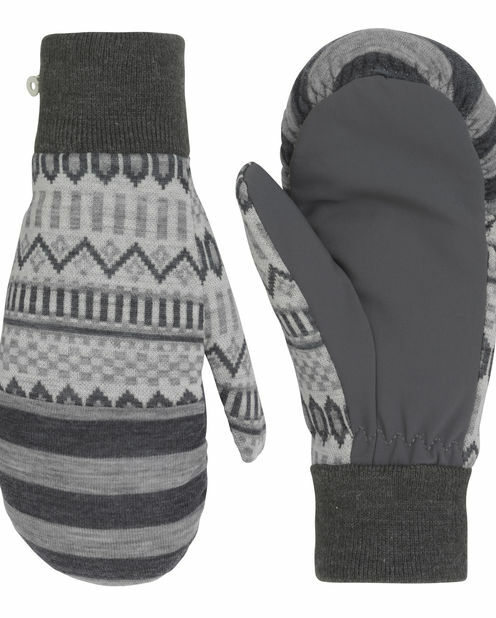 The Akle Collection features 100% merino wool at a 240 weight. 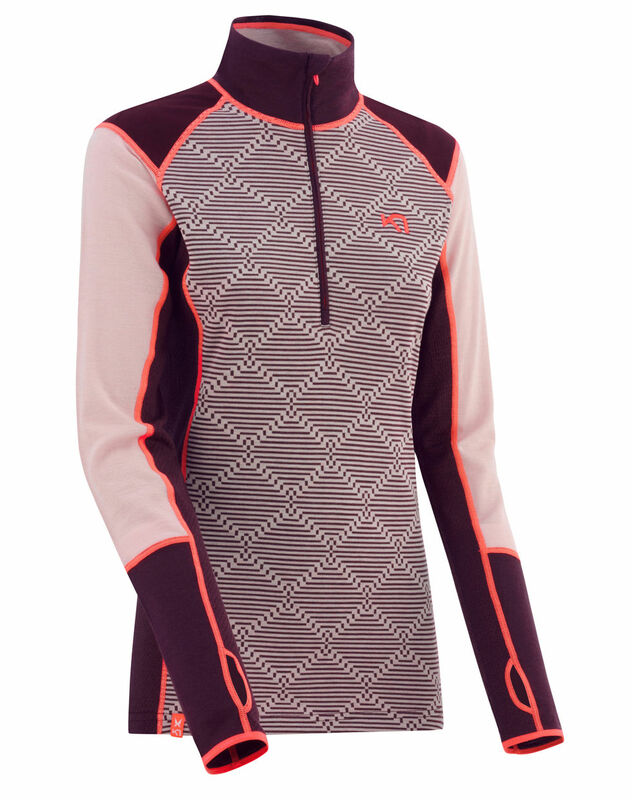 This collection not only acts as a great, super-warm baselayer, but could also double up as a mid-layer on top of a Tikse LS on those below-zero days this coming winter. The Rose Collection is also 240 weight 100% merino wool, but offers a zip closure (as opposed to the more fashionable Henley look in the Akle collection). We love the very Nordic snow-flower pattern. 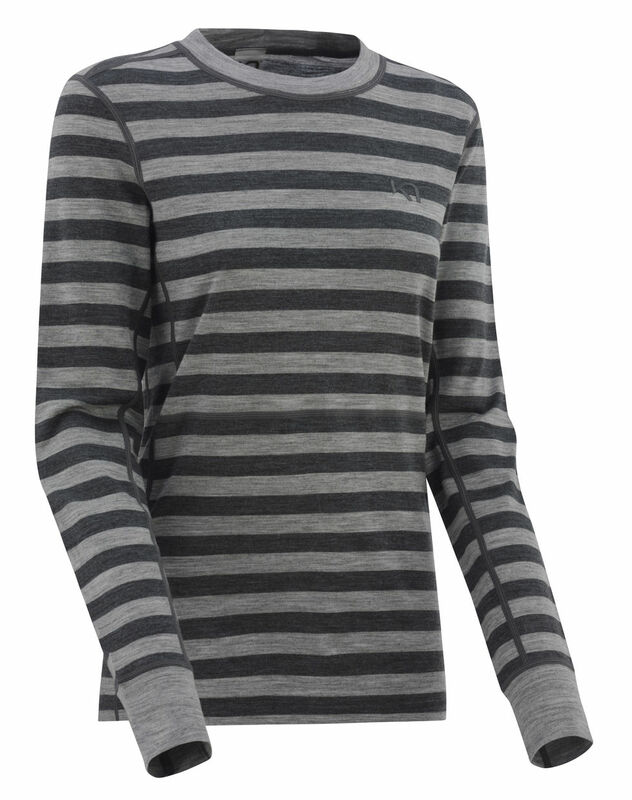 The Ulla Collection offers a 180 weight 100% Merino option in a fun striped long sleeve. We love this look layered under any of the mid-layers. 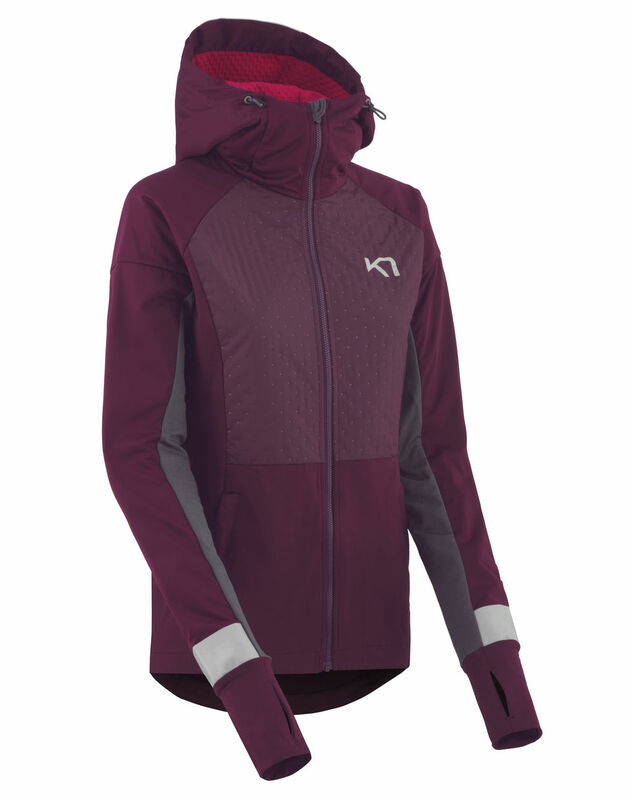 Last, but not least, the Rett Half Zip offers a blend of polyester and merino as an option for someone who doesn't want to go all in on merino wool. The main body is 88% polyester/12% merino, while the trimmings are 100% merino in various weights. The body mapping here is great for those that sweat a lot!